Trevor realized his passion for playing drums at the age of 5. In 1997 Trevor enlisted as a Hospital Corpsman in the US Navy. He was then sent to Field Medical Service School where he was trained in combat medicine by the USMC. He then served a two year tour overseas as part of the forward deployed Pacific Fleet. Trevor has combined his passion for drumming and military experience to create a movement that will help alleviate suffering and enrich the lives of his fellow veterans. Trevor serves as the CEO and Chief Facilitator of Warrior Beat. Benjamin has over three decades of experience as a Creative Director. He started one of the world’s first all digital-based design firms, Hopping Media, just as the internet was becoming of age in 1994. He has worked for numerous high-profile companies, including Apple, Microsoft, Cisco Systems, NETGEAR, and Facebook. 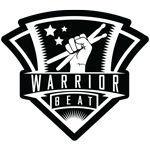 Under the auspices of Warrior Beat, Benjamin serves as Creative Director to create a visually welcoming environment, and acts as the chief coffee sheppard for the other founders. .
Stan Nabors enlisted into active duty in July, 2001. There he attended Airborne School, where he was later assigned to the 82nd Airborne Division’s Military Police Company. Stan was deployed to Kuwait where he provided convoy security for the 325th Airborne Infantry regiment. He was then assigned to the 325th Air Commander’s personal security detail in Baghdad. While serving, he survived numerous roadside IED attacks, resulting in concussions which eventually led to epilepsy, PTSD, and ending his military career in medical retirement. Other notable positions within the military include Military Police Investigations Supervisor in Seoul, South Korea, and Investigator and Criminal Intel Coordinator at the US Disciplinary Barracks at forth Leavenworth. Stan currently spends his time volunteering for both Warrior Beat and the Stark County Honor Court as a mentor for vets in need.